Los Angeles, Calif. - Today, undefeated boxing champion Floyd Mayweather announced that, following his highly anticipated “Money Fight” against Conor McGregor, he will shift his focus to the launch of a new global business venture, Mayweather Boxing & Fitness. The flagship gym location will open this Fall in Southern California. Emblematic of Floyd’s passion for family, fitness and community, this new enterprise is grounded in the philosophy that fitness levels shouldn’t be determined by socioeconomic status, and that everyone should have access to, and benefit from, elite fitness resources. Through a unique and scalable business model with an enticing franchisee and affiliate return structure, Mayweather Boxing & Fitness will be in neighborhoods all over the world – including traditionally underserved communities – offering fitness programs for anyone looking to train more effectively. In addition to brick and mortar gyms, Mayweather Boxing & Fitness will launch a mobile app and in-home Virtual Reality experience – both featuring Mayweather himself – to maximize the number of people who can access a first-class training experience. 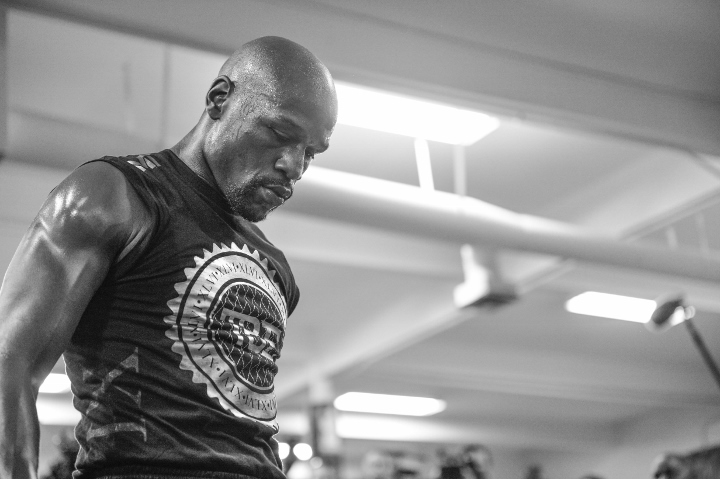 Through this holistic offering, Floyd will be, for the first time ever, revealing his training and fitness methods that kept him on top of the boxing profession for more than 20 years. As Chairman, Floyd will oversee execution against his vision of the business, develop the direction for programming and content, and share his knowledge, expertise and passion – not only for boxing, but also for health and fitness. To help bring his vision to life, Floyd has assembled a leadership team with deep franchise, fitness and business development experience, including James Williams, CEO; Burrel Wilks III, Senior Advisor; and Mike Melby and Ali Fakhari, Executive Directors. Should have started his own burger chain. Call it Money Burgers lol.